The Dungeon Bulletin Board: The Week Ahead: 7th-13th Jan. The Week Ahead: 7th-13th Jan. Some of us are from the Hermione Granger school of thought and like to have everything planned out with colour coded charts at the start of term. 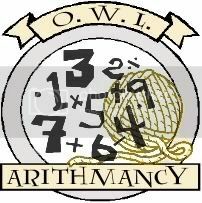 ...for those who aren't quite so organised we will be here every Monday to nag remind you about classes, missions, Quidditch, OWLs, NEWTs and other activities that you might want to keep on top of. Firs of all, a short mention of the Slytherin Tournament of Hotties. Nominations need to be in before January 9th and can be entered here. The first Quidditch Challenge of the term has begun and you have until the 12th to craft. It is always worth heading over to the Slytherin Locker Room for tips and tricks on how to score your goal. Don't forget to tag your project "SlythQ14Mascot" when you hand it in. Bonus points are available if you tie your Quidditch Turn in with Flying Option 3. 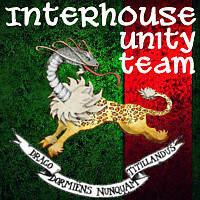 During the month of January Slytherins will be working together with Gryffindors to subdue the Questing Beast. This is not extra work, this is something you can combine with a class project. 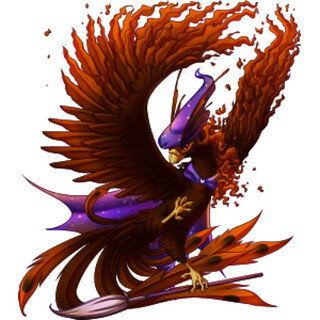 Head over to the thread on the Seventh Floor to seek out a partner or gather more information. This is something that can be counted towards your Slytherin Quest so well worth checking out. For those of you ready to take your O.W.L. exams, the proposal thread is open and accepting proposals until the 31st. The sooner you get your proposal in, the sooner it will be approved and you can start crafting. Yesterday the Order of the Phoenix started accepting B.R.O.O.M.s, so if you are wishing to attempt an Order Mission this term, you need to get your proposal in between now and January 20th. The prompts are here and allow a lot of room for creative crafting and imaginative storytelling. Please note that there are changes to the role playing procedure this term. The format for your proposal can be found below. Finally, don't forget to use the Slytherin Quest to challenge yourself, get a little extra motivation or just have the chance to win some prizes. Use the "SQwin13" tag on your projects, and see how high you can aim. 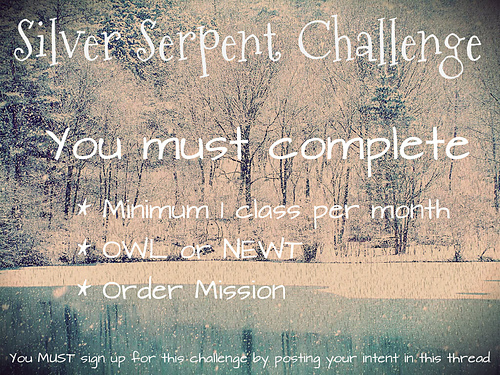 No sign up is required for the overall quest, but those who want to try out for the Silver Serpent Challenge will need to put their name down over at the Quest thread so that the mods can keep track.